Is Game Freak Working on Pokemon Stars for Nintendo Switch? From the minute the Nintendo Switch was announced, people have wondered about the possibility of a new Pokemon game. After all, it’s a handheld with the technical power of a home console! A system that can push out full HDMA graphics and gigantic worlds at a whim! Isn’t that perfect for a full Pokemon Sun and Moon sequel? Well, yes it is And guess what? It seems we’ll soon find out exactly what Game Freak has in store with such a game too. It’s certainly not Drill Dozer or Smart Ball, that’s for sure. Nope, this is Pokemon. Even the simple comments on it being a franchise that’s popular worldwide doesn’t exactly leave any options. So yeah, it seems Game Freak are recruiting for a new Pokemon title. However, one thing does stand out as somewhat interesting here. As in, even more interesting than the possibility of a new Pokemon RPG on the Nintendo Switch. And that’s this comment about it having been ‘released for a long time’. Indeed, do you know what this makes me think of? Pokemon Stars. You know, the Pokemon Sun and Moon sequels that were apparently coming to the Switch at one point. 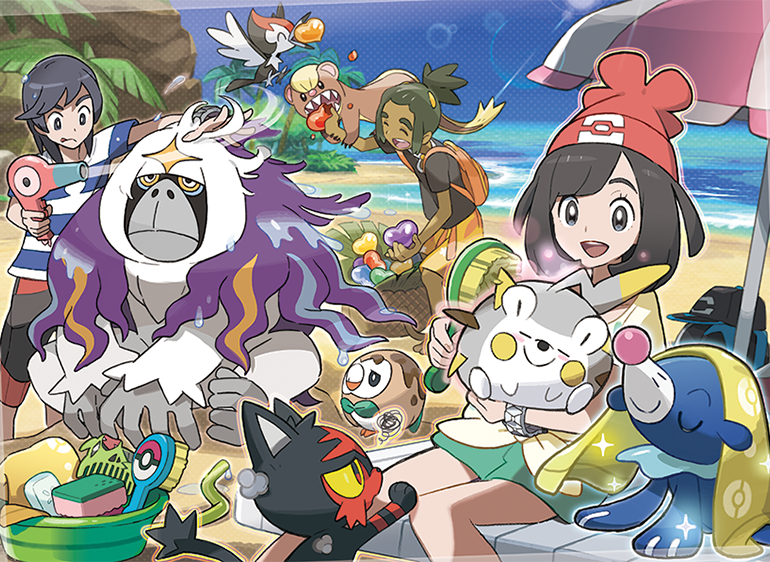 Having the new Pokemon games be based on generation 7 would certainly account for a familiar development environment and a game that’s been out for a long time. But hey, what do you think? Could this job posting be proof that Game Freak really is working on Pokemon Stars for the Nintendo Switch? Or are the plans in relation to a brand new Pokemon generation planned for Nintendo’s system? Post your thoughts on this here (or at the Gaming Latest forums) today!